What Can O. C. Welch Ford Lincoln Inc. Help You With Today? Need a little help figuring out how best to work out your automotive situation? Then you need to plan a visit with the team of Ford and Lincoln experts found here at O. C. Welch Ford Lincoln Inc. Whether we are helping you learn more about the great new Ford or Lincoln cars found at our convenient Hardeeville location or offering up the inside track to the most comprehensive selection of parts and maintenance, we have no doubts the trusted group of Ford and Lincoln experts at O. C. Welch Ford Lincoln Inc. have the ability to help you figure out the right course of action for you. Tired of fighting with substandard service from other dealerships? Then take a minute to join us as we bring you up to speed and help you reach out to the appropriate team of certified Ford and Lincoln experts. In terms of new and pre-owned car sales, nobody beats the O. C. Welch Ford Lincoln Inc. team in Hardeeville. From giving you the inside scoop on all of the latest offerings from Lincoln and Ford to helping pair you up with the right pre-owned vehicle (including Certified Pre-Owned Fords or Lincolns and selections from other automakers) that fits your unique needs and fiscal considerations, we can provide you with the data you need to make a solid choice. The best part about connecting with our sales department? Our professionals go above and beyond to always give you the tools you require to make the right decision for you and your family. Only when you feel comfortable enough to move forward will the O. C. Welch Ford Lincoln Inc. team give you the assistance necessary for you to take the next step. 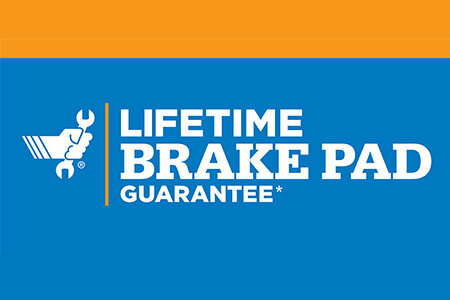 Whether it is time to tune up your engine or you could use a little help getting back on the road after an unexpected breakdown, O. C. Welch Ford Lincoln Inc. wants you to know one thing: We are the leading name in quality service that is quick, budget-friendly, and always taken care of by licensed Ford and Lincoln mechanics. Do you have an automobile from a different automaker? Then that is no problem. The friendly staff of car repair experts here at O. C. Welch Ford Lincoln Inc. are excited and prepared to handle your service needs — regardless of the type of vehicle. For those of you who are interested in handling a repair yourself, you will be pleased to learn our committed team of parts advisors can help you find the part you need in a hurry. 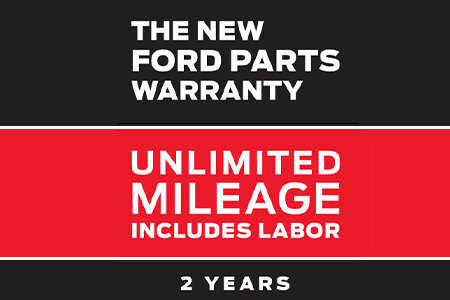 From original equipment manufacturer (OEM) Ford or Lincoln parts to a plethora of other items that can help you square up a repair or service on virtually any car possible, we have no doubts what you need is here for you now at O. C. Welch Ford Lincoln Inc.
Of course, stopping by for the right part at O. C. Welch Ford Lincoln Inc. is about so much more than just having access to the largest selection in Hardeeville. By stopping in at O. C. Welch Ford Lincoln Inc., you will also have the opportunity to enjoy the best prices in town, in addition to an ironclad commitment to friendly, stress-free service. Have Another Topic on Your Mind We Have Not Covered? We Would Love to Hear It! Did we forget to cover something? Then tell us! 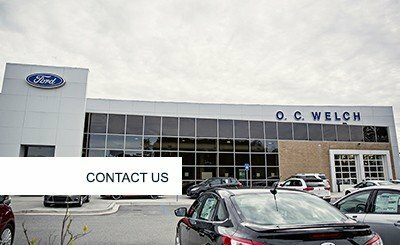 O. C. Welch Ford Lincoln Inc. is always excited to receive input from our valued customers, so go ahead and give us a ring if you have any questions, comments, or concerns you want us to handle. We will be on hand to give you as much insight and information as possible as we assist you in handling whatever automotive issue is currently facing you down. Now that you are up to speed on the best ways to get a hold of the O. C. Welch Ford Lincoln Inc. team, as well as what each of our departments has to offer respected customers such as yourself, there is really only one thing left to do: Give us a call! We cannot wait to connect with you soon and, we guarantee your time spent at O. C. Welch Ford Lincoln Inc. is unparalleled in terms of quality and support.